for micro entrepreneurs and young startups through TSFE - The School for Entrepreneurs. Please spread the message below to all who will possibly benefit from it. 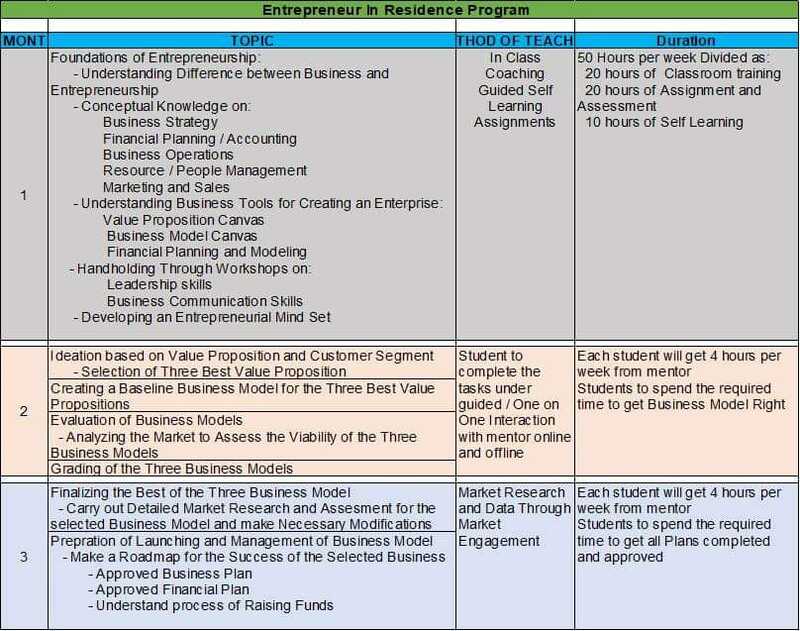 Please go to the link here and fill out the detailed form for application to be admitted to TSFE - The School For Entrepreneurs for it's 3 months program starting in April 2019 for "Entrepreneur in Residence". We are launching a business model competition in April 2019 for which we will reach out to 1000+ youth and prospective entrepreneurs in the respective states, pick up 100 best from them, train them strongly for 1 month. Make them work on a business model plan and make them compete in a competition and we will pick the first 20 to go through the 2 year program at TSFE - The School For Entrepreneurs www.tsfe.in which we are launching in all the six states for young micro entrepreneurs, which will kick start on 1st of April 2019 with the first cohort of 20 micro entrepreneurs in select states where there is strong desire to become scalable entrepreneurs.